BSNL has announced the revision in validity of its existing unlimited combo STV 349 from 45 days to 54 days for its prepaid mobile customers. As per the latest information, the revised validity was applicable with effect from 29th May 2018 on wards. 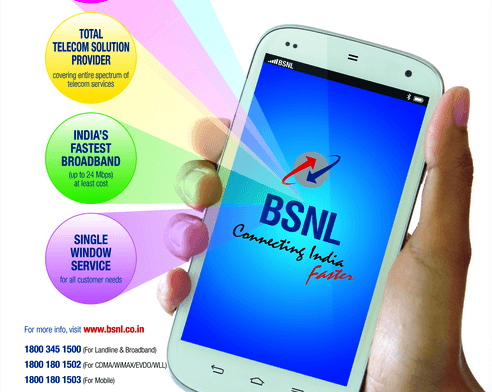 BSNL Combo STV 349 offer - Unlimited local/STD roaming calls including Delhi & Mumbai + Unlimited data, speed reduced to 40 Kbps beyond 1GB/Day + 100 Free SMS any net / Day. Unlike other unlimited combo STVs, BSNL's 349 plan offer unlimited roaming calls including Delhi & Mumbai. However, other network calls are limited to 200min/day, beyond that 20p/min will be charged. Dear readers,please share your views and opinions about this latest news via comments with us.